Spring has finally arrived full-force in Houston, and there’s no better way to celebrate than with a good book. This week I finished Stardust, a perfect choice for some Spring inspiring reading. 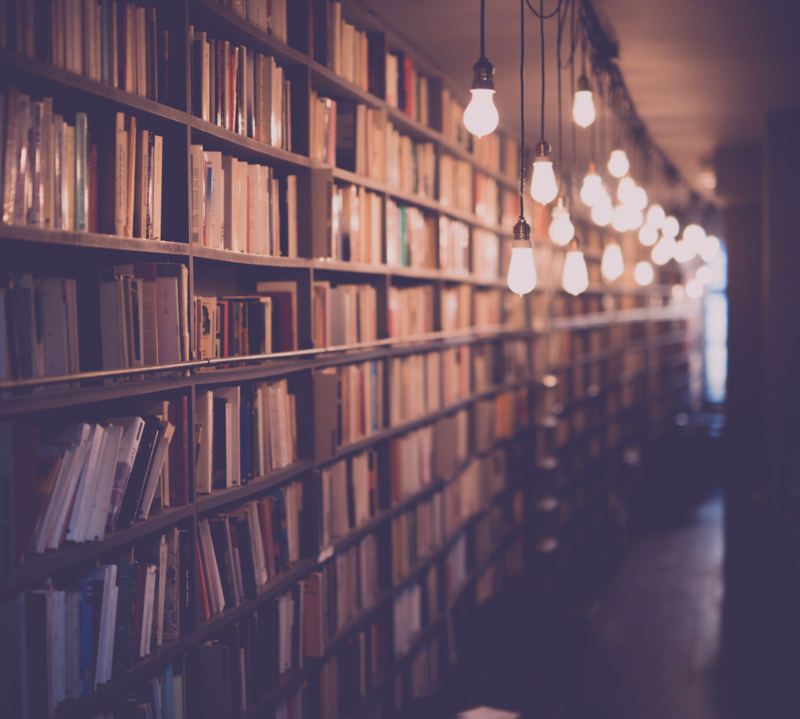 Check out my Spring Reading List to find your next great read! We celebrated the beautiful weather this weekend by going to the Houston Kite Festival! There’s nothing better than spending a day outdoors, and then coming home to good book. This week I spent my nights reading from Little House on the Prairie and Brideshead Revisited, which has proven more daunting than expected. I listened to the audio version of The Buried Giant, and by doing so, was completely overwhelmed by the Arthurian world Ishiguro has created. The story takes place in England, just as Arthur has passed, and with his passing, a mist has overtaken the realm that wipes the memories of those dwelling there clean. They have forgotten past grievances, but even though the memory has faded, the feeling remains – the villagers know they had reason to outcast Axl and his wife Beatrice, but why? They too feel this remnant of a distant memory, and with it, the last memory of their son who has left them to live in another village. A chance encounter with a stranger encourages the couple to leave the familiarity of their village to seek the unknown destiny of their only child, but their path has many turns as they struggle to retain their journey’s end. Along the way, they meet a young boy who has been attacked by ogres and a Saxon knight, Wiston, who has pledged to protect the boy and lead him to the safety of a new home. But appearances can be deceiving, and the knight’s true intentions for the boy are uncovered by Sir Gawain, a questionable hero in his own right. Joined together, the band quickly discovers the source of the mist to be an enchanted dragon and seek to slay the ancient beast, but as they reach their mission’s end, distant memories are briefly resurfaced, leaving only traces of an emotional impression. Will they ever find their son? Or will the past prove more daunting than the task ahead? Ishiguro weaves an enchanting tale that leaves the reader confused, often introducing characters as if they were already well known and at a pace that leaves the last character still unexplained, ultimately creating the sense that the reader, too, is under the mist’s enchantment. The buried giant, as the reader will find out, is an allegory for the turmoil and endless war between the Britons and the Saxons, which with the dragon’s death will be remembered and undoubtedly renewed shortly after the novel’s end. But the symbolism doesn’t end there – the novel is enriched with Arthurian legend, particularly the Island of Avalon. Although not named as such, the island mentioned throughout the novel clearly symbolizes the afterworld, where those who have passed are destined to walk the land alone for the rest of their days. Only a couple who’s bond is pure may walk the island together, and even though Axl and Beatrice prove worthy despite all doubts (for how could they prove their love, if they can’t remember their life together? ), the journey is for Beatrice alone. No one theme can be pointed to as the “central” theme, every reader seems to have a unique reaction to the work, each taking a different element to heart. For me, the novel drives home the proverbial notion that even after a heartbreaking error by those we love, we can forgive and forget if we so choose, and though our bond may not be the same, it can be re-forged. This is also seen in the animosity described between the Britons and the Saxons. They may continue the war, or they may forgive and keep the giant buried – we all have a choice. Stardust is almost impossible to describe it is so action packed and plot driven, but nonetheless, I shall try. Right off the bat, the novel is much more adult oriented than the film adaptation, and surprisingly so. Young Tristan has lived in Wall his entire life, just like everyone else in the town, but Tristan has always had a desire to explore outside the wall and into the mysterious lands beyond. And so he finds himself inclined to collect a fallen star to present to his ladylove, but fate has other things in mind for Tristan, and a small life in Wall is not among them. He soon discovers the star is actually a spit-fire young woman named Yvaine, but as they travel back to the wall, he soon finds himself as her protector as a cunning old witch wishes to cut out her heart. On the run, they’ll run into pirates and elf-lords, and even meet Tristan’s mother who is by far the most interesting character in the story. They courageously find their way back to the wall, but will it be too late for Tristan to embrace his destiny? Will true love be found? You’ll just have to read to find out! While the novel and the film adaptation follow the same central plot line, both present a unique glance into the supernatural world of Faerie. No doubt Gaiman is truly an amazing story teller, casting interesting characters with exceptional abilities into a world that is truly spellbinding, all readers will be captivated by his work. A bona fide fairy tale for adult readers, Stardust will not disappoint those looking for a happy ending, but lovers of the film adaptation beware, it isn’t what you’ll expect! Little House on the Prairie is the second installment of the series, after Little House in the Big Woods. In the novel, the family leaves the safety and familiarity of the Big Woods and sets out for the unknown for life in grand open Prairie. They encounter formidable obstacles, from rushing rivers to Native Americans to a pack of wolves, but leave it to Pa to keep the family safe (with the help of trusty ol’ Jack, of course!). Along the way, they meet kind strangers who become second family and find the new world to be just as sound after a little hard work. 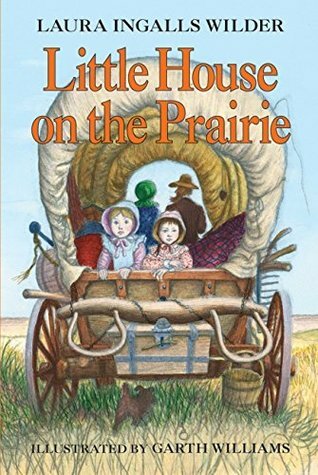 The Little House series is one of my all-time favorites from childhood. I remember eagerly waiting for story hour each day, knowing we would hear more adventurous tales from Laura’s childhood. The stories are inspiring while Wilder’s language is sparkling, and easy on the tongue. I can’t wait to share this amazing story one day. Ellen Kirschman, herself, is a police psychologist, and as such offers up a unique perspective to the inner workings of a police force, as well as the divided anger that can be stirred in the wake of a trauma. As such, she touches on varying subjects from females in a male oriented workplace to PTSD to racial profiling to ethically questionable psychologists to a marriage gone sour. Though she attempts to bring up the subject, as touchy and difficult as it is, she ultimately leaves the thought behind in the dust as she picks the more dramatic plot-line between husband, wife and mistress, ultimately failing to establish a working commentary on police brutality towards African Americans. She does, however, when Spelling goes for counseling for her PTSD, beat the point to death, always emphasizing her central theme that women can be tough too, but this too is compromised when Spelling’s husband leads her down the wrong path and the men on the force are proven right when another female cop fails in the line of duty. Though little is accomplished by Kirschman’s lofty choice in themes, the novel is a thrilling read with endearing characters and surprising plot twists. Oh the very thought of a nice spring weather. We got another dumping of snow today. Can you believe it? Sigh. Anyway, I’m jealous of your selected reads. I’ve always wanted to better my choices, but I’m just not that much of a disciplined reader. Looking forward to reading more of your posts, Julia! Ahh the Little House book series brings back such good memories from reading as a kid. I’m exactly the same way – can’t wait to share them with my kids someday!